Just been looking at the future of batteries and this little gem popped into view from the Scientific American. Full article and explanation right here. 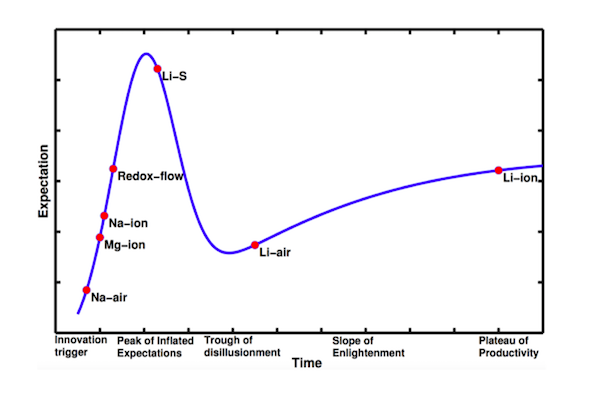 This entry was posted in Technology Foresignt and tagged Batteries, energy storage, future of batteries, Hype Cycle. Bookmark the permalink.